While individual school policies vary according to state laws, it’s typical for school officials to notify parents who do not vaccinate their children when an outbreak of a vaccine-preventable disease occurs. About 400 students attend Mariposa School of Global Education. 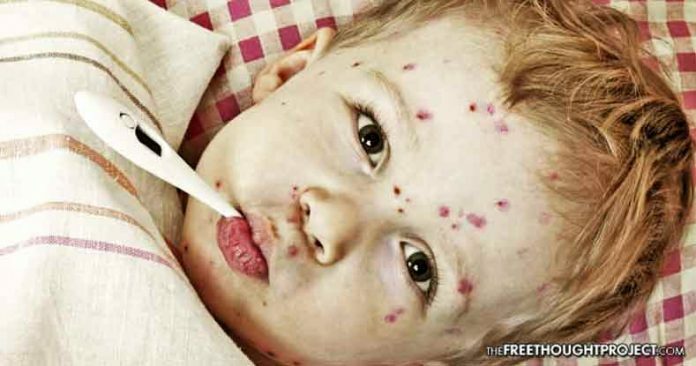 Around ninety of those students have not been vaccinated for chickenpox, and on May 1st the parents of those students were ordered to keep their children home for 21 days. “Given that there were three cases, given that they were in three different grades, the health department gave the directive to exclude students who are not immunized,” said Stepenosky. Vaccination rates at the Mariposa School have risen greatly in recent years. In 2015, it was reported that about 40% of the students were current on vaccinations; following changes in state law, that number is up to 80%. In 2016, the state of California halted the allowance of personal and religious exemptions for vaccinations, and currently, only medical exemptions issued by licensed doctors are allowed. The chickenpox vaccine has been reported by the Centers for Disease Control and Prevention to be 90% effective if an individual has received two doses.